Have you ever wondered where you can buy the dry ice you often see in your favorite viral YouTube videos? Or were you ever in need of something colder than water ice to cool vast amounts of food and drinks before a big summer barbecue, but you just could not find a store which sells dry ice anywhere? Maybe you need some for Halloween? On this page, you'll find digestible information about where to buy dry ice in the United States. There are numerous places to get dry ice. Some are more obvious than others and sometimes you have to be quite creative to get hold of the solid form of carbon dioxide. This guide will show you the places where you have the best chance of finding it. Most Kroger stores sell dry ice blocks and pellets. In some states however you will have to show identification to prove you are 18 or older and therefore eligible to buy. They have stores in 34 states so there is an excellent chance you can find one of their chains within driving distance. Tip: Don't just look out for Kroger signs but also for Ralphs, Harris Teeter's, Dillon's, Food 4 Less and Fred Meyers as the parent company owns all of these brands. Another good option is to enter your zip code on Instacart to find out whether you can purchase it near you. This website will show product availability and you can even change supermarket chains to see if they sell it. Continental Carbonic: This manufacturer has 48 production and distribution facilities across the country with most located in the eastern half of the States. You can purchase dry ice on a cash-and-carry basis in 44 of their stores. Dry Ice Corp: You can order online from this supplier. They focus on the Northeastern United States where you can get your frozen pellets delivered within 24 hours on the early days of the week. Their prices are 49 dollars for 25 pounds and 69 dollars for 45 pounds. Dry Ice Delivered: Their promise is to ship dry ice to any location in the United States. Sounds great, doesn’t it? The pricing is progressive for blocks, which means the more you order, the lower the price per pound. Local Dry Ice Suppliers: Large towns always have at least one small business which specializes in this field. To find them, you can do a search on Google Maps or you can look them up on Yelp or in the Yellow Pages. When you visit these stores, you'll be met with friendly service, and it's also an excellent way to help the local economy. If you live in the western half of the country, Safeway and its associated brands are a solid choice when it comes to purchasing dry ice. They have 240 locations in California so there is a great chance that you can reach one with a 30-minute car ride if you live in The Golden State. Most of their stores carry dry ice, and it’s one of the cheapest options among all. How to buy dry ice at Safeway: You can select your town in the Safeway store locator, and it will display all of their locations near you. The best part is that they list whether or not they have the commodity available at each store. This means that you don’t have to call them, you only need to check their website before leaving for the store. Talk about convenience! For example: Here is the page of the Mission Street store in San Francisco. You can see the hours and under that where you have the label “Featured Services”, you can see that they indeed sell dry ice. If you are located in the southeastern part of the country, especially if in Florida, this is your best bet. A good number of Publix stores sell dry ice without any limitations, but to make sure, we always recommend calling your local one to get confirmation. You can also check out their website and click on the "Select a store" button to get detailed product availability information. If you're still wondering where to buy dry ice, you have to check Walmart. 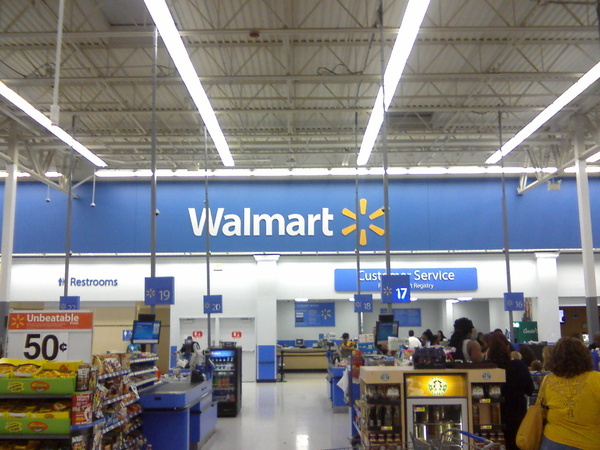 Walmart has the most number of stores for any retail chain in the United States (11000+). Most larger towns have at least one. Some of them are even open 24/7 making them a great place to buy dry ice. An important thing to note here is that not all Walmart stores carry the item. The best way to find out whether your local one has it is to phone them up. Sometimes they do have it, but you may have to ask around in the store, as it may not be freely accessible due to the high risk of frostbite. Ice cream shops have to keep their delicious treats cold somehow and most use dry ice as it is relatively cheap and safe. In most cases, you will need to get creative and ask whether you can get some at the location. Usually, they don’t sell it, but there are lots of places where they will be happy to give you some, maybe even for free. Exceptions are some ice cream shops which sell it by the pound. Like Graeter's, which has a good number of locations in Ohio, Kentucky, Pennsylvania, Indiana and Illinois. Almost all Meijer stores sell dry ice. If you live in Michigan, Illinois, Ohio, Wisconsin or Indiana, this chain is a great option to purchase it. Meijer has 117 locations in Michigan and 25 in Illinois. This means that there is a good chance you will find one within a couple of miles in these states. How to buy dry ice at Meijer: All you have to do is check out their dry ice product page. This webpage will instantly show whether it is available near you. The current price is $1.89 per pound. There is also a link which says “check nearby stores”. If you click there, it will show all of the nearby locations which carry it. Also, it's important to note dry ice is only obtainable in-store at Meijer. Delivery is not supported for the product. There is no better place to buy dry ice in Texas than H-E-B grocery stores. This privately held supermarket chain has around 300 locations in The Lone Star State and almost all of them have the item on their shelves. How to buy dry ice at HEB: Much like Meijer, they have a dedicated page on their official website for dry ice. If you visit it, you can get details about current accessibility in your local store. There is also the “Find other stores with this product” link which opens up a popup with product availability information in your area. H-E-B’s pricing is very friendly, as they offer it for only $1.68 per pound. Great deal! Many Costco stores have dry ice available for purchase but this chain does not have a company-wide policy regarding the sale of solid carbon dioxide. How to buy dry ice at Costco: If you would like to avoid any surprises, you will need to give your local store a ring to find out whether they have it or not. You can find the phone number for a specific store using their warehouse locator. You can also contact Costco via their live chat support here. They will be happy to look up where you can buy dry ice in your area. We tested their live chat on the 14th of October, 2018 and they were really helpful indeed. Some gas stations sell dry ice in front of the store from big freezers. We would recommend this as a last resort as many of them don’t have it. Sometimes it is also possible that you have to ask the staff if you don't see it anywhere around the kiosk, because of limited accessibility. Using dry ice requires extreme caution. Direct contact with your skin can cause an injury very similar to a burn. It needs to be handled with thick gloves or multiple towels, or while it's wrapped in newspapers or strong paper bags. It is ought to be kept well out of children's reach. Don’t store the substance in containers which are fully airtight as it sublimates quite quickly and this can create explosions and vast amounts of damage. Always order more dry ice than you need (around 1.5-2 times more) due to the fact that it is a perishable substance.